First of all, you need to know that natural teeth are not perfectly white. 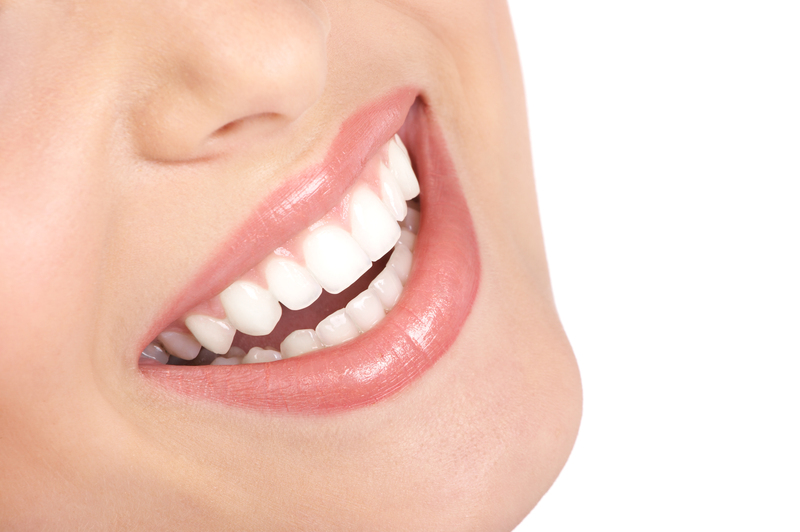 Teeth come in a variety of colours within a range of light greyish-yellow shades. Teeth naturally darken with age. The use of tobacco products as well as the consumption of certain foods or drinks can also speed up this process. 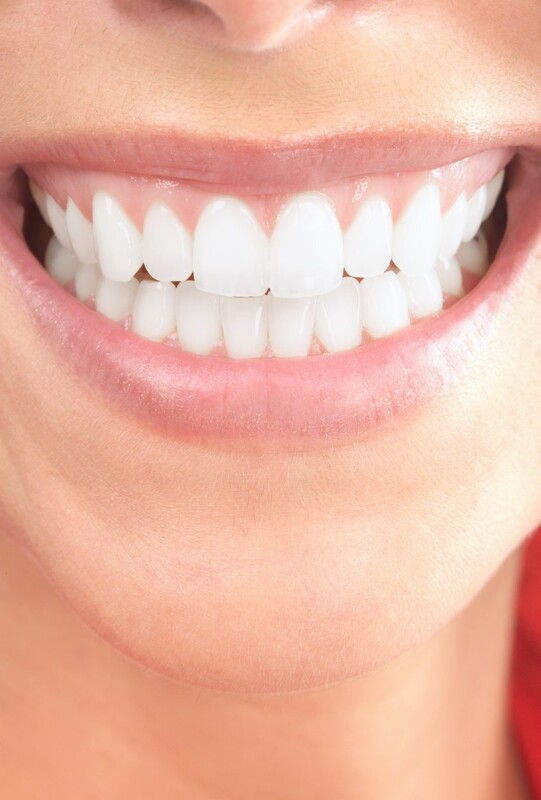 In addition, the perception of the colour of the teeth can also be influenced by skin tone and makeup. Regardless of the actual colour of their teeth, those who have darker skin will look like they have whiter teeth. The same applies for women who use a dark makeup. The light source will also have an effect on the perception of the color of the teeth. Stains on teeth? Where do they come from? As mentioned earlier, certain foods or beverages can stain the tooth surfaces, such as coffee, tea, red wine, dark fruit juices, tomato soup and tomato sauce, beets… Fortunately, these stains are only on the surface of the teeth. A good dental cleaning with your hygienist will get rid of these. On the other hand, tar and nicotine from tobacco are known for creating darker spots that are difficult to eliminate. Also, some medication such as tetracycline can darken teeth. Tetracycline stains cannot be removed by polishing. They must be covered by materials such as composite or porcelain. Your dentist can advise you on how to eliminate these stains. Are there risks associated with tooth whitening? The two most common side effects are a slight temporary increase of tooth sensitivity and a mild irritation of the soft tissues of the mouth, particularly the gums. Tooth sensitivity can occur in the early stages of the teeth whitening treatment. Gum sensitivity is most often caused by a poorly adapted whitening tray. These side effects are temporary and usually go away within 1 to 3 days after the end of the treatment. Consult your dentist who will ensure that the whitening trays are well adjusted. The dentist will also verify that you are following the procedure for the whitening gel application. Wear the trays during a shorter time interval. Stop the treatment for 2-3 days to give your teeth some time to adjust to the procedure. Ask your dentist if a product containing a high concentration of fluorine could help promote the remineralization of your teeth. Apply the fluorine in your trays and wear them for 4 minutes before the application of the whitening gel. Brush your teeth with a toothpaste for sensitive teeth. The potassium nitrate it contains will soothe the tooth’s nerve endings. What are the available techniques? It involves applying a whitening gel on your teeth using custom-made whitening trays. You have to wear these trays 30 minutes twice a day for a minimum of 2 weeks. Depending on the initial color, it is possible in some cases that you will have to extend the treatment duration to obtain better results. Once the bleaching completed, keep your trays in order to repeat the treatment later. You will only need to get whitening gel at your dentist. 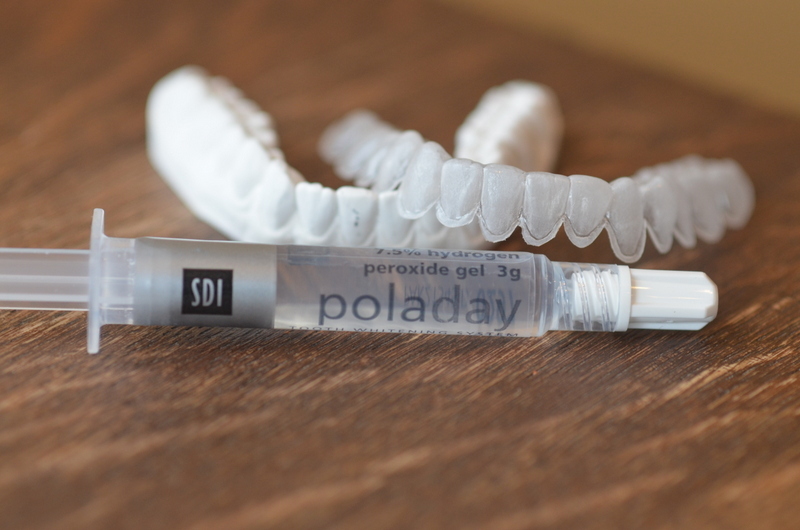 At the clinic, the dentist applies a gel directly on your teeth. You get instant results! This is a good technique for those who are short on time. Depending on the color desired, a few treatments may be necessary. For best results, we recommend to combine the two techniques. This allows to speed up the process and to be able to make touch-up treatments from home over the years. Studies show that the effects of whitening can last 18 months if you limit foods and products that cause staining. 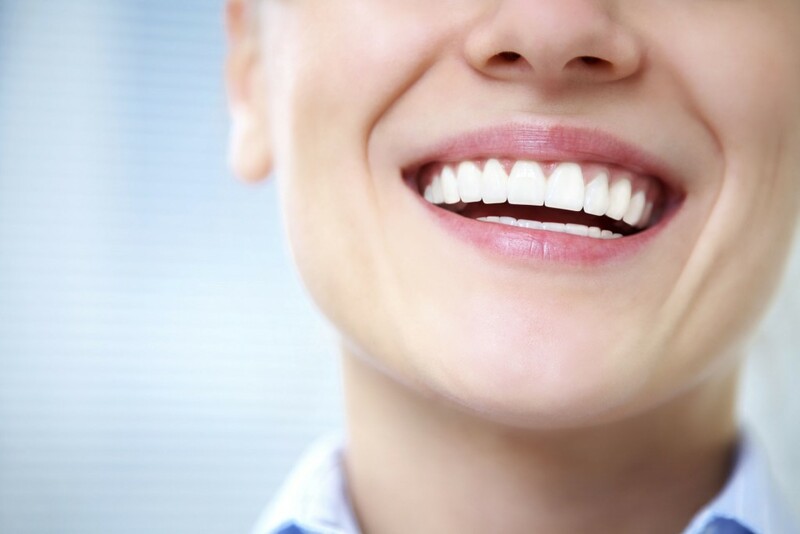 Before starting a whitening treatment, either by a professional or with over-the-counter products, it is highly recommended to consult your dentist. Your dentist knows your dental health history and is therefore in the best position to recommend the treatment that suits you best. 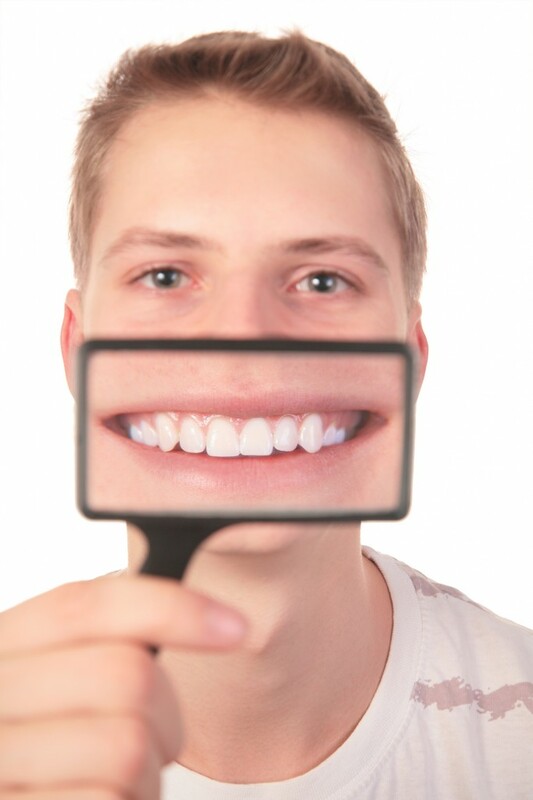 Using a tooth whitening chart and some photos, the dentist will assess the progress of the whitening treatment. This allows you to clearly observe the evolution of the treatment. Undergoing a dental cleaning before teeth whitening is important because a tooth covered with dental plaque or tartar is not in good condition to absorb the whitening product. Existing fillings will not change color. You will therefore avoid unpleasant surprises like ending up with teeth of different colours (like corn on the cob :P) when you smile. In addition, severely worn teeth may be hyper sensitive, which would be most unpleasant. It is not recommended for pregnant or lactating women. If an abscess or tooth decay is present, it is recommended to treat it before starting the whitening treatment. If the technique is not adapted, it can irritate the gums.